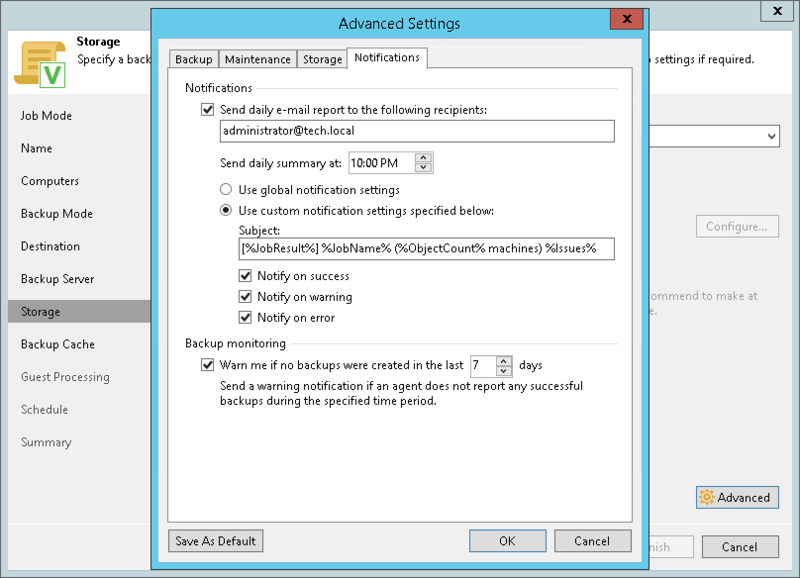 In the Send at field, specify the time when Veeam Backup & Replication must send the email notification for the backup policy. Veeam Backup & Replication will send the report daily at the specified time. To receive a typical notification for the backup policy, select Use global notification settings. In this case, Veeam Backup & Replication will apply to the backup policy global email notification settings specified for the backup server.